Part of the Titanium line, and one of our most technical shells, the Columbia Men's Outdry Ex Diamond Shell Jacket is a waterproof, breathable, sweat-wicking rain killer that is fully seam-sealed with bold, external seam tape and that features 2-way, underarm venting. Part of the Titanium line, and one of our most technical shells, the Columbia Men&apos;s Outdry Ex Diamond Shell Jacket is a waterproof, breathable, sweat-wicking rain killer that is fully seam-sealed with bold, external seam tape and that features 2-way, underarm venting. 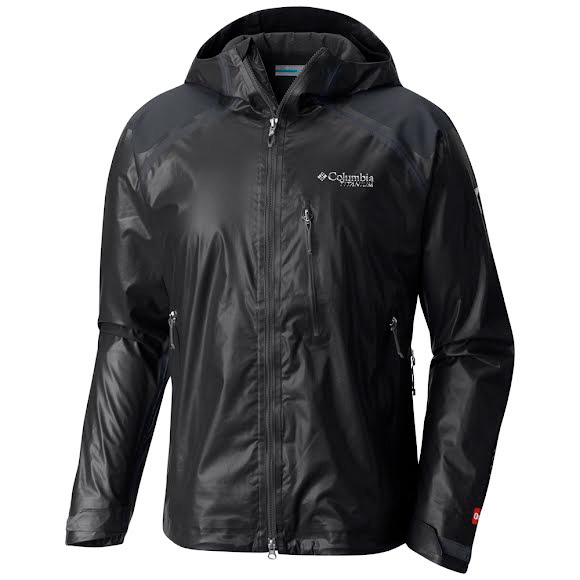 Abrasion resistant shoulders, articulated elbows, contoured cuffs and drawcord adjustable hem featuring advanced, silicone grippers all make this jacket ready for some serious alpine action.